Forget the Pixie Sticks and Apples. (Like handing out grenades after the candy scares of yesteryear.) Make sure to have plenty of sealed candy bars, gum, blow pops, and the like. 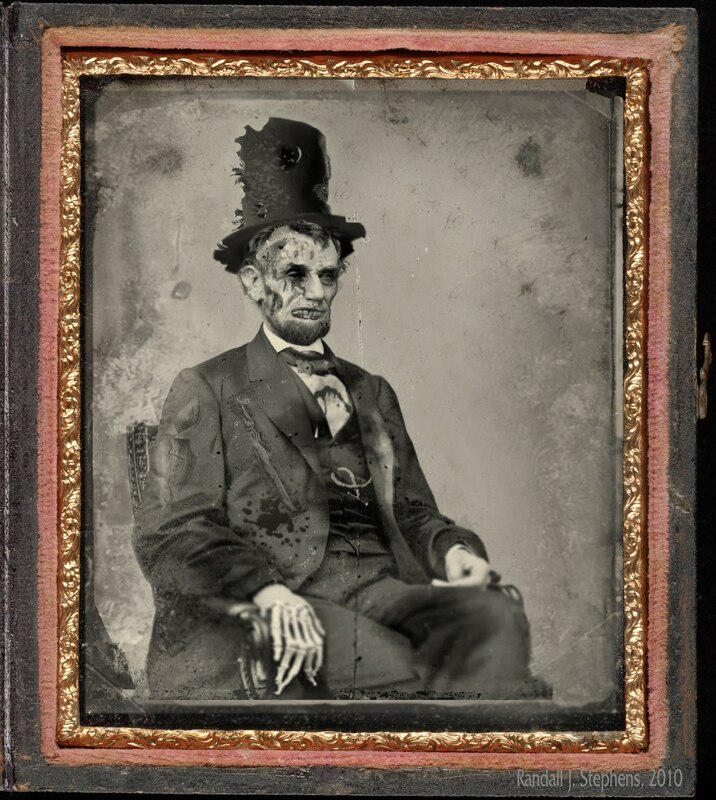 Tonight, hungry super-excited kids, with moms and dads in tow, will roam the streets outfitted as dogs, clowns, vampires, Richard Simmonses, zombies, and Abraham Lincoln zombies. "'Samhain and the Celtic Origins of Halloween': Halloween is commonly thought to have pagan origins, even though its etymology is Christian. Halloween is, quite literally, the popular derivative of All Hallow Even, or the eve of All Saints' Day (1 November). Taken together with All Souls' Day, which falls on 2 November, it is a time assigned in the Christian calendar for honoring the saints and the newly departed. . . . In marking the onset of winter, Samhain was closely associated with darkness and the supernatural. In Celtic lore, winter was the dark time of the year when 'nature is asleep, summer has returned to the underworld, and the earth is desolate and inhospitable. In Cornwall and Brittany, November was known as the dark or black month, the first of winter; in Scotland, it was called 'an Dudlachd' or 'gloom.' Samhain was a time of divine couplings and dark omens, a time when malignant birds emerged from the caves of Crogham to prey upon mankind, led by one monstrous three-headed vulture whose foul breath withered the crops" (Rogers 11, 20). How we got from that enchanted view of the world and all its seasonal rituals to kids dressed as Mighty Morphin Power Rangers or teens decked out as their favorite character on Jersey Shore, is a fascinating, odd, winding tale of cultural history.